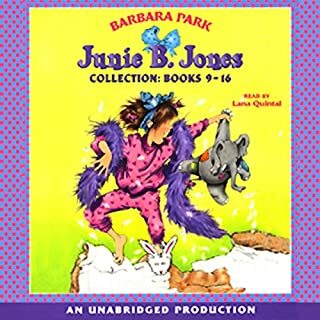 This audiobook contains books 9 through 16 of the Junie B. Jones series of children's tales. thank you so much ramona your story was great. Perfect for kids. Superb value for 1 credit. Best value for 1 credit for a parent of young children. 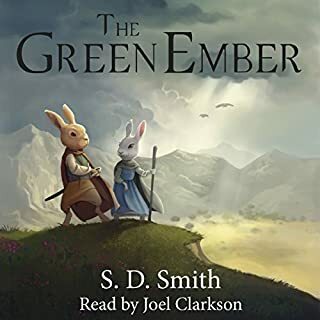 Kids have listened to this audiobook 4 times already. Perfect for road trips. I was very annoyed by Ramona in the first book and regretted the series purchase. My 5 year old wanted to push on with it so we did. We both loved it afterwards. starting this auduo book for the 9th time! This was an excellent collection. My daughter and I have been listening to it before bed for a couple weeks now. She will be so disappointed when we finish it. Such a great option to have all the books in one. 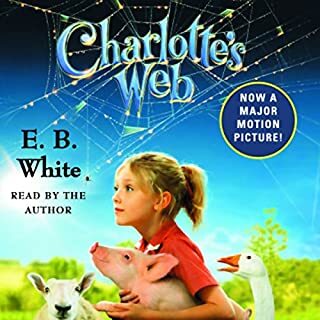 While on vacation and driving the length of California back up from San Diego I downloaded this book for my family to listen to as we drove the long slog of I5. What a great choice!!! 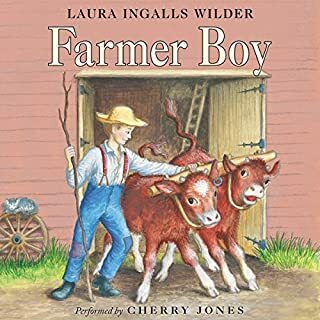 My 5 year old daughter was engrossed by this story and did not speak a peep for 6 hours straight as we drove the last 400 miles from Northern Cali to Washington. 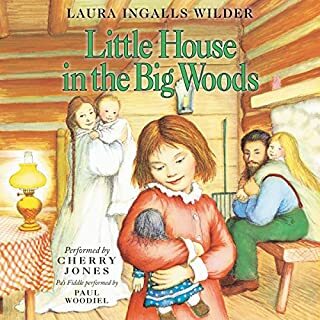 My wife was also engrossed and for the first time on that vacation I was able to experience a bit of quiet, the whole family quietly listened to the antics of Ramona and enjoyed her little story. 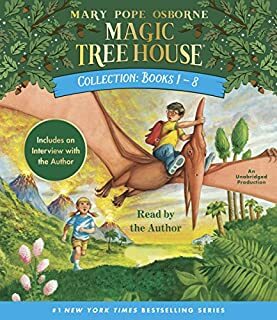 About the story itself...I never read these books as a child so was unfamiliar with them when I started. Basically this series follows the growth of a precocious little girl, named Ramona, and all her little innocent escapades as she grows up. The first book starts with Ramona age 4 and each subsequent book she is a year older. 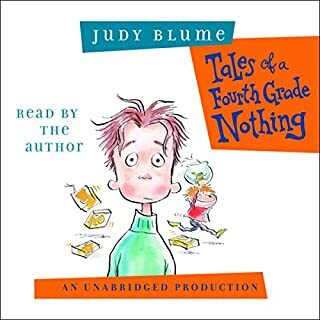 (well.. at least so far, we have only gotten through 4 books) Nothing huge happens here, no monsters need defeating, no saving the world, just little Ramona trying to learn how to grow up and be a good person. Her trials are things like not being sure her kindergarten teacher likes her, or dealing with the fallout of a bad tantrum. 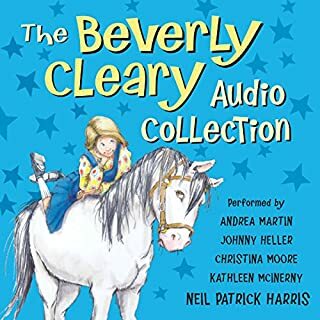 They are small things, but they are told beautifully and I actually think my 5 (soon to be 6) year old daughter enjoyed them all the more because she could so well relate to the feelings (and trials) Ramona was having and experiencing. 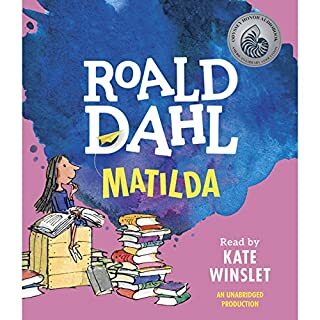 As adults, my wife and I found the stories endearing and funny as the exploits of Ramona are very familiar to anybody who has had (or has) young children. Ms. Channing’s performance is wonderful, and she really brings to life all the characters. I highly recommend this series for anybody with young children. One thing though, Ms. Cleary sometimes gives away (or almost) the secrets of things like Santa Claus/tooth fairy/etc... 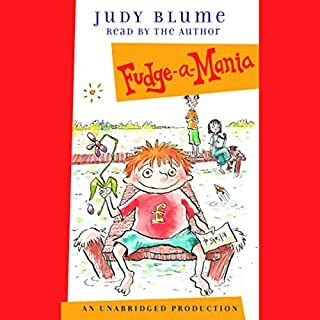 Early in this series Ramona loses a tooth and Ms. Cleary alludes to (but does not actually explicitly reveal) Daddy being the actual tooth fairy, that part takes about 2 min....you can easily see it coming and you may want to skip ahead if you want to make sure that you can preserve that little fiction. 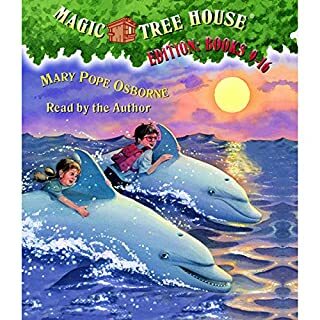 I have a six year-old who loves these stories. She routinely loves to retell the stories to me and especially funny parts; so there is good humor in these. I've listened with her and enjoyed the stories. I recommend this series. Audio warning... this collection does not divide and label the books. There are chapter breaks, but the books run right into each other. It makes it very hard to find an individual book. I'm six and I've listened to this in the car when my mom drives and when I am doing my chores and I love it. I wish they made it last until I was 100! These stories are the perfect combination of funny, embarrassing, and sometimes a little scary and sad, just like childood itself. Ramona is no brat. She always has the best intentions, but her curiosity and creativity tend to land her in trouble. She is often confused and bewildered when her good intentions meet an unfriendly reception. Still, Ramona is surrounded by loving and supporting adults, and she always pulls through fine. 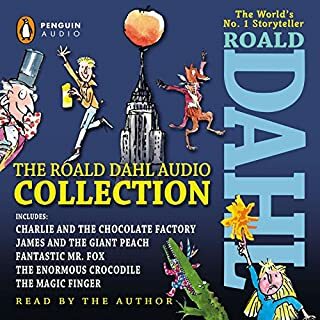 My seven-year-old daughter listens to these stories every day. She emphatically agrees when Ramona says, "Being seven and half years old is not easy!" I love the narration. 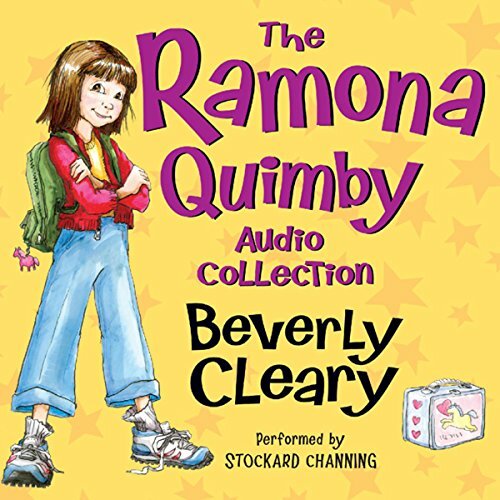 Stockard Channing takes up Ramona's voice with sympathy and great humor. She really brings the characters to life without being overly dramatic. My kids and I listened to the entire Ramona series together. 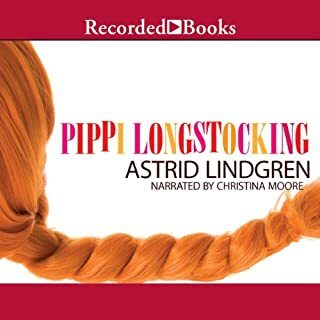 Stockard Channing is the perfect narrator for this book and the performance was consistent throughout. As Ramona grew, Channing's interpretation of the character grew appropriately. It was a delightful listen. 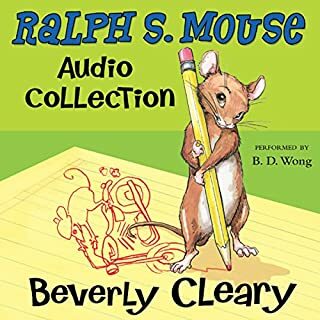 Beverly Cleary's beloved stories of Ramona were so entertaining I found myself laughing out loud at the characters' antics. 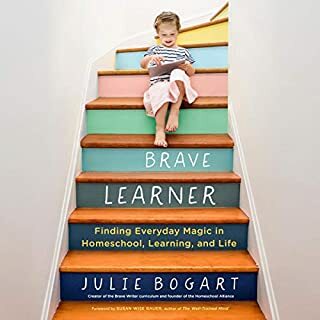 I could identify with the children both from memories of my own childhood and as a mom, which led to me sharing stories of funny things I did as a girl and things my kids had done when they were smaller. Ramona is best shared with the kids--they should not be the only ones getting to read about her! 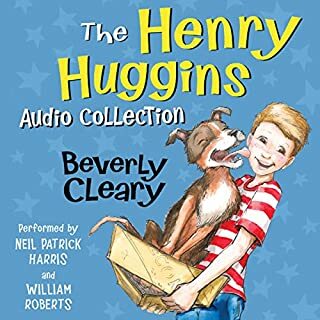 As soon as it ended, both kids wanted me to dowload and listen to the Henry Huggins series, which I promised we would do this summer. me and my sister love Ramona and her adventures. Yes it is a little pricy but its so worth it. you get to listen in on this little girls life, and you grow with her. It has adventure, comedy, and a little bit of mystery. its a Win Win. Also can you believe it! 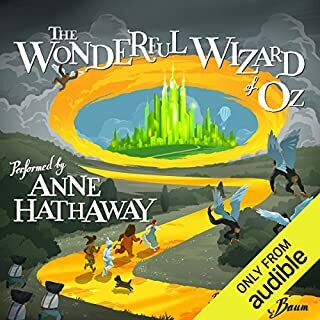 all of the audio books in one. if i could give ten stars i would. 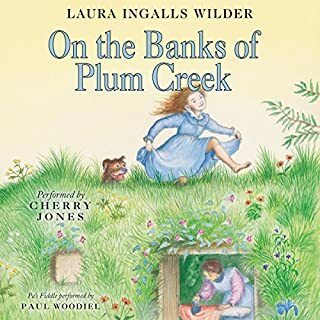 I loved revisiting the books that occupied so much of my childhood. Stockard Channing's reading was excellent. I hated that it had to end!